Load one or more image files you want to convert to PLT. They can be of any vector format or they can actually be PLTs as well — in which case reaConverter will function as a handy image editor. 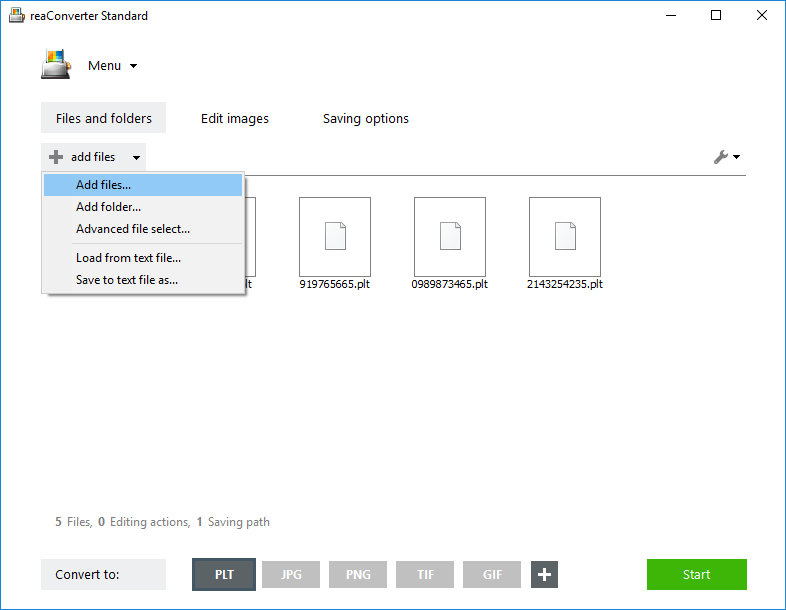 Files can be dropped directly into the software’s main window, or picked manually from a local folder. 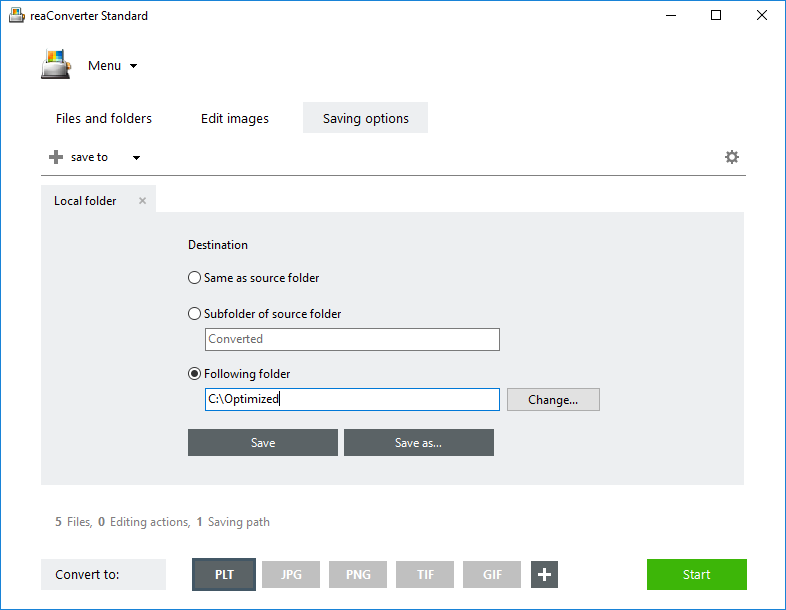 In case you need to handle batch conversion, you can also add entire folders or use the Advance file select option and automatically pick a number of files according to their size or extension. 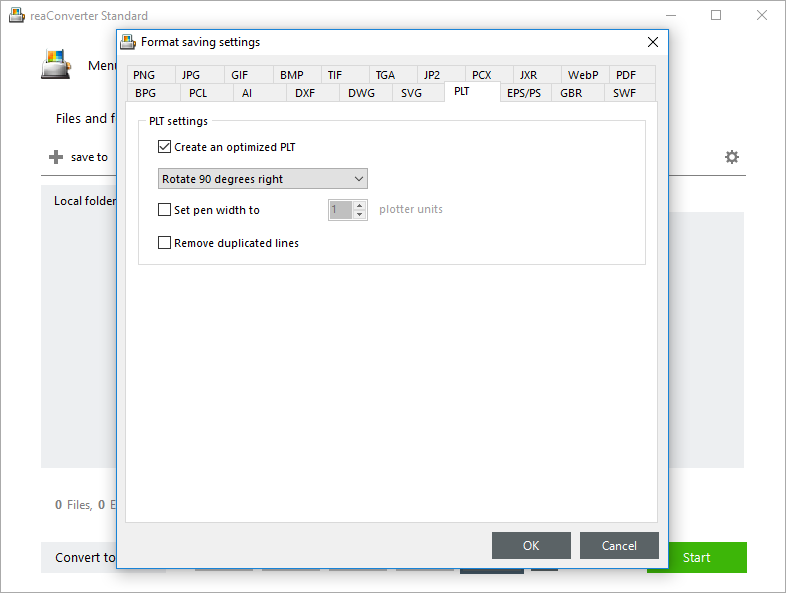 Go to the Menu button and click Saving settings → Format saving settings, and then click on the PLT tab. In this window you can opt for rotating the PLT images 90 degrees to the left or to the right. 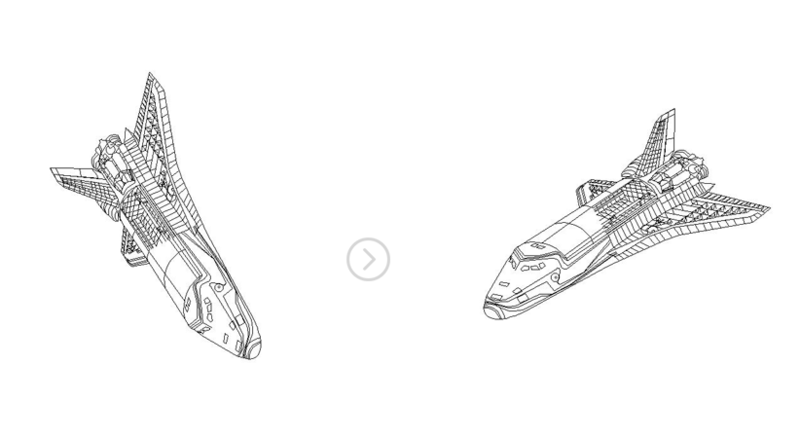 Since PLT is a vector format, this option works differently than when applied to raster images. To be more precise, it means all vector coordinates of all points will be rotated. In the Saving settings tab, enter the location of the output files. Last but not least, make sure the PLT button is clicked in the Convert to section. Advanced users can rotate PLT files from command line interface or using DLL in manual, automated or scheduled mode. You are welcome to contact our technical support when you have any questions about reaConverter.